Giffin sports summer favorites: dress by Alaïa, blue ring by Beth Miller, other rings by Eva Fehren, bangles by Yossi Harari, necklace and earrings by Irene Neuwirth, and shoes by Gucci. Giffin—author of 10 books, including Something Borrowed, which was made into a movie featuring Kate Hudson—knows what she likes. With a closet filled with Balenciaga and Lanvin, Giffin loves classic, timeless pieces paired with elegant, understated jewelry and comfy essentials (“I’m never far from my Frame denim jacket”). And she has places to sport them: Called a “modern-day Jane Austen” by Vanity Fair, Giffin juggles writing, family (including her three children), celebrity events, book tours, and licensing for film and TV. Burgers, with either avocado or a fried egg. Pretty much anything is better with a fried egg. Something Blue is my sentimental favorite, and All We Ever Wanted, which is written from different character perspectives, is the novel I’m proudest of—by far. 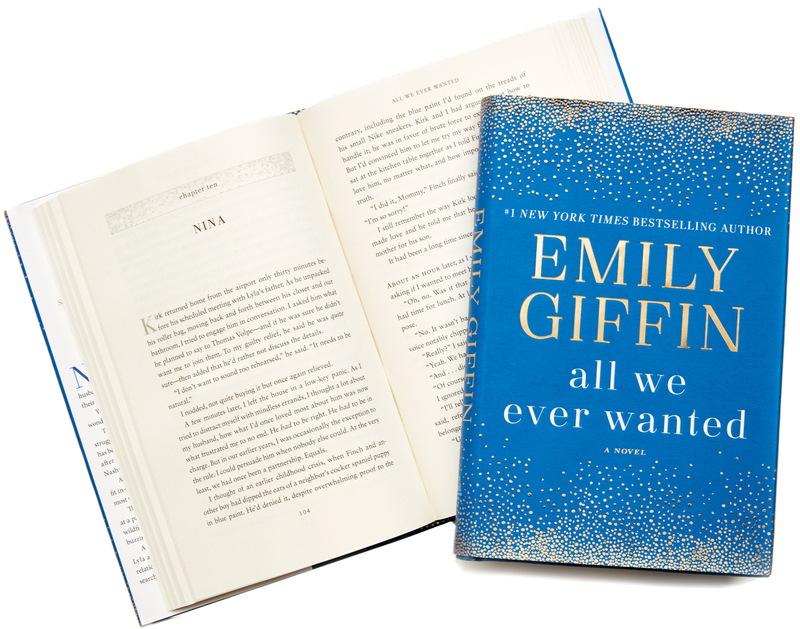 Giffin’s newest novel explores how one crisis can impact many lives.